Thanks for the encouraging response to my earlier post on calcium from plant-based sources. I’m truly honored and grateful for your lovely comments and feedback. This week, I did a similar analysis on iron-rich foods using the data available in "Indian Food Composition Tables - 2017". Iron is an essential mineral that is required for the making of red blood cells, which are responsible for carrying oxygen in the body. Deficiency of iron leads to fatigue, tiredness and anemia. Usually, iron supplements are prescribed for toddlers, girls in their teenage years and pregnant women. The iron requirement for women is more than that of men because of the blood loss during their monthly period. I remember taking "iron tonic" as I was anemic while growing up. It used to taste so bad with a metallic after-taste. I hated taking iron tablets during pregnancy. I only wish I had known this list of iron-rich foods earlier. Better late than never. And I hope it helps others who are reading this post. 1) It came as a surprise to me that spinach and beetroot aren’t as high on iron as I had thought. 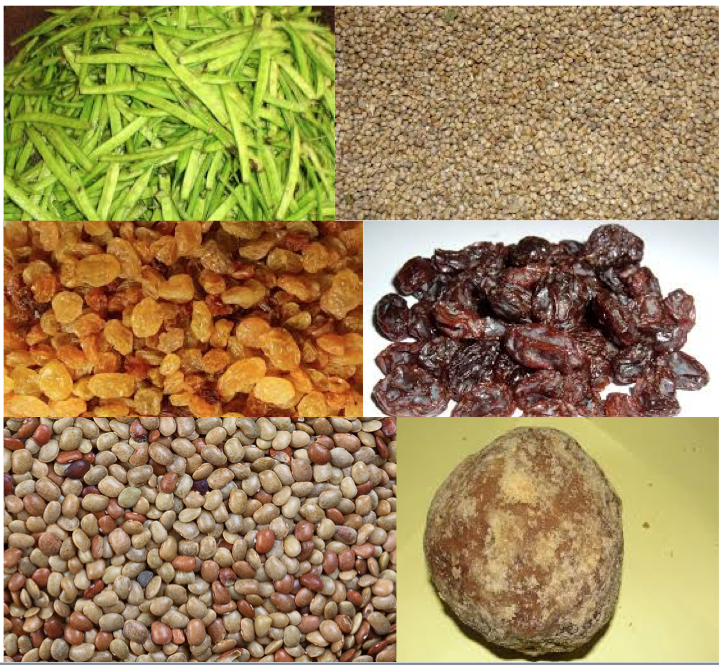 2) Bajra and Ragi are good sources of iron. Ensure that your children eat foods from these grains on a regular basis. If they don’t like porridge, make idli/dosa or make rotis with bajra/ragi flours. 4)The same logic applies to sesame seeds and curry leaves too….Rich in both calcium and iron, it is a crime to keep the curry leaves aside on your plate. Let’s make it a habit to chew them, along with the food. Almost all the greens have a good amount of iron. The “5 greens a week” rule will help you to meet your daily dose of iron and calcium requirement. 5) Cluster beans (“Gavar” in Hindi / “Kothavarangai" in Tamil) has the highest iron content among vegetables. It is used in Tamil, Kerala and Gujarati cuisines but not extensively. Let’s give it more preference than the usual French beans which we stock up often. 6) Most of our Indian spices are also rich in iron, apart from calcium. Do cook/eat Indian cuisine as much as you can. Yes, the ingredients list is long for Indian recipes. Yes, Indian style cooking would end up with more dirty dishes to clean. BUT, the health benefits outweigh these little efforts by a huge margin. No "shortcut" to good health, please. 7) Have a sweet tooth? Give preference to jaggery-based sweets (kheers, laddoos). Avoid sweets made of white sugar, chocolates, pastries, bakery stuff and other store-bought junk to satiate your sugar cravings. Jaggery is rich in iron, potassium, calcium and other minerals. Last but not the least, for effective absorption of iron, Vitamin-C is essential and so ensure that you include lemon, tomatoes, capsicum, cabbage, orange etc on a daily basis. Do share your comments/questions. Also if there are any specific topics on health and nutrition you'd like me to write about, do let me know. Thank you for these wonderful articles Anuradha. These are eye openers.